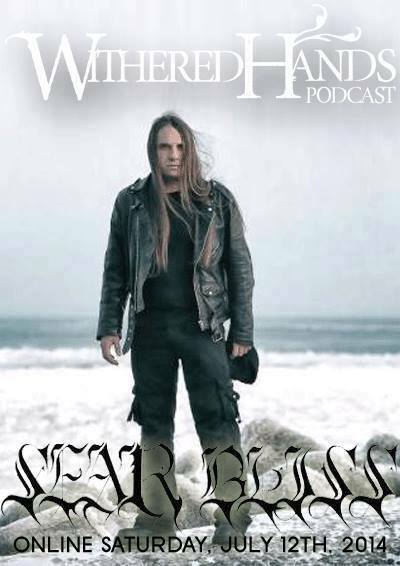 On todays show we are joined by András Nagy of Hungarian metallers Sear Bliss who takes us deep within the realms of the musical mind sets of the band. We discuss albums past and present, the frustrations of getting matieral released. Studio engineers who don’t know how to engineer and a hell of a lot more!! András also takes this time to talk about his new solo project ARKHĒ. Although in truth mouths have been very much sewn shut on this matter and the excitement and aticipation is building for its eventual release, alas what we do discover is priceless and vital to any fan taking the time to listen. As always we crank up the follow of the shows with some music that showcases the bands talents for those who are new to hearing them. Here is todays, Sear bliss track list…. Please check out : https://www.facebook.com/searblissband , http://www.searbliss.hu/index_en.html for all your Sear Bliss needs!! There is not intro monologue to the show this time due to my silly recording software but i dont feel this takes anything away from the overall piece. In closing thank you to András and thank you to all the supporters of the show. Without you all this show is nothing.